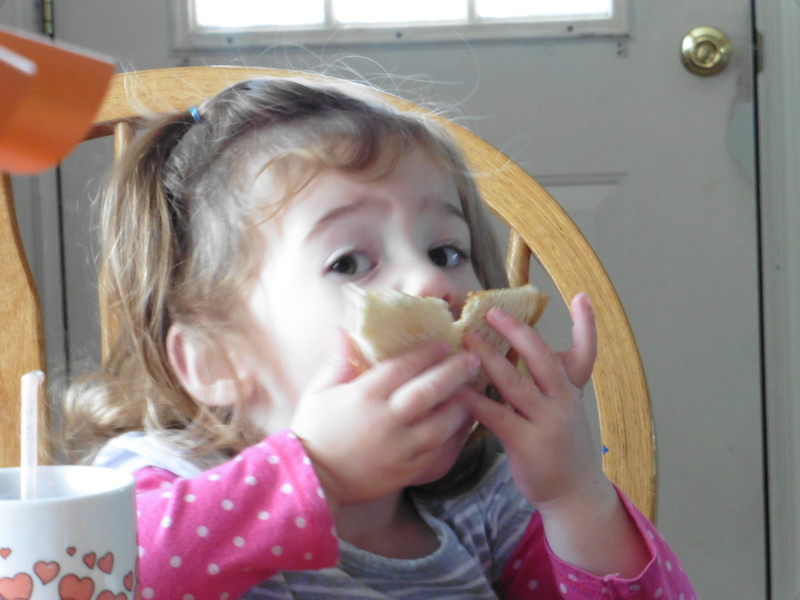 I’m letting Elizabeth eat peanut butter. 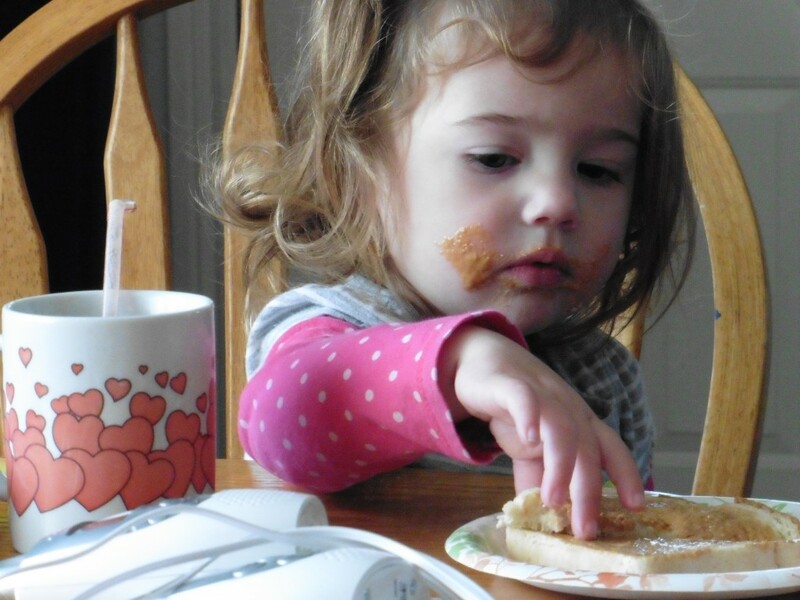 When Carissa was 1 and I started giving her peanut butter I noticed red blotches (hives) around her mouth. I took her to the allergist and found she’s allergic to some nuts and egg whites. So I have purposely avoided nuts with Elizabeth, too. Wes slipped her a peanut butter cup once and she didn’t seem to react. After that I’ve cautiously given her little bits of peanut butter stuff here and there, or maybe almond milk in a smoothie. I don’t think she’s having reactions. I have noticed red bumpy things around her mouth but they look like acne and not big blotches like hives, and so I’m not sure they’re related to the nuts. 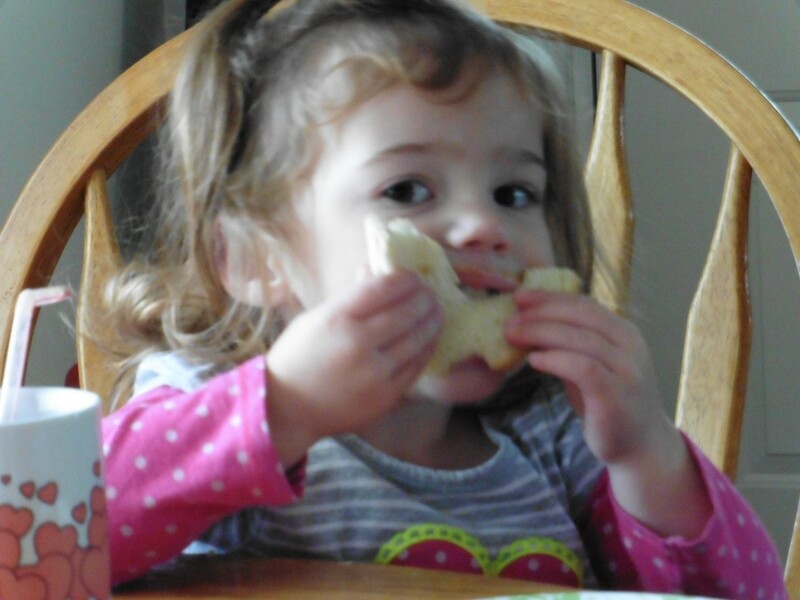 In any case, she is a happy camper with her peanut butter. I hope she’s not allergic.